How could you not love a golden retriever? This is my old dog, Brittni. I guess you could say Ace is her replacement. He has a lot to live up to. I grew up with golden retrievers, so it will always be one of my favorite breeds. I don’t know if there is a more loyal, affectionate dog than a golden. That’s probably why so many people own them. There’s just something about having a golden retriever always at your side. Golden retrievers are easy to train and eager to learn, which is why they make such great service dogs. They are also used for hunting and will wait patiently for hours in a boat before diving into ice water to retrieve a bird. The golden was originally bred in England during the 1800s, according to the Encyclopedia of Dog Breeds by D. Caroline Coile. Its original purpose was for retrieving and assistance, which it is still used for today. The Golden retriever comes in many reddish shades, from blond to deep red. Some have straighter coats, while other are more wavy. The breed weighs from 55-75 pounds. 1. They are athletic. A golden will love to tag along on any outdoor adventure. 2. These dogs are not hard to train and they love to learn. They do really well at obedience trials and make great hunting companions. 3. Golden retrievers are friendly and gentle. In general, they love every person and animal. They are usually great around children and other pets. 4. They are beautiful dogs. Who can argue with that? 5. They do just fine in colder climates. They love water, including rolling, swimming and playing in it. They also love snow and don’t get cold too easily. 1. Their endless energy will get annoying if they don’t get enough exercise. This is probably the worst problem with the breed. So many families want a golden retriever because they are gentle, but no one takes the time to walk the family pet. 2. They make terrible watchdogs. Although a golden might bark at a stranger, he is more likely to make friends with everyone, give kisses and try to initiate a game of fetch. 3. Their coats will require some brushing, and the breed sheds throughout the year. 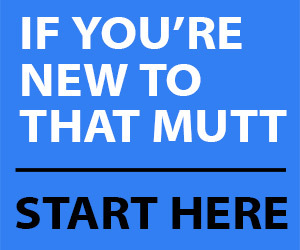 Be ready to deal with a ton of dog hair. They also overheat easily, which is part of the reason why they love the water so much. 4. At around 60 pounds, they can be a handful, especially if they are not trained. Obedience training with this breed is a must. 5. 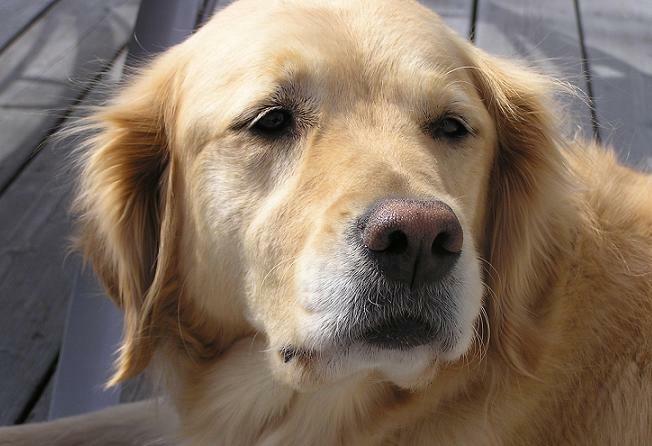 Several health issues are common with golden retrievers. I hear more and more about health problems with this breed at a young age, most likely due to poor breeding. Problems include hip dysplasia, allergies, ear infections, hemangiosarcoma and lymphoma (both are forms of cancer), according to Encyclopedia of Dog Breeds. I have owned three goldens in my life. One died of liver cancer. One died at age 7. Two had seizures several times a year all of their lives, and one had hip dysplasia by age 5. I may or may not own another golden retriever in my lifetime. But either way, I will always have a soft spot in my heart for every golden I see. I especially love the older ones, with gray around their eyes and muzzle. They just look so wise and understanding. It’s not a surprise that so many people love them. They truly are a great breed. I know some people who have them as their dog of choice. I would love to own one, but due to allergies this isn’t the dog for me, I need less shedding and a smaller breed to be able to handle. I can’t fathom trying to get a goldie into a bath tub once they are full grown lol. Yes, they are strong and can be really hyper! They are not too hard to bathe, but you will have to deal with a lot of hair. Golden Retrievers are great dogs. We used to dogsit one that was a real joy. He had a great demeanor and loved fetch! My cat thought he was a monster since he was so big, but he learned that his gentle nature was no threat. I really worry about this breed as they have been SO over bred and done so by very dishonorable breeders. I’ve known some really screwy goldens. Yeah I’ve known some that are a little odd too, some that are extremely fearful and submissive.